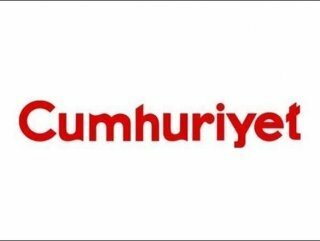 Besides the editor, Can Dündar, the prosecution said it is seeking the same pre-trial restrictions for Cumhuriyet’s representative in Ankara, Erdem Gül. The articles, published on Cumhuriyet’s front page in May, claimed that Turkey’s National Intelligence Organization (MİT) is smuggling weapons in trucks into Syria and was caught doing so twice in 2014. The trucks were allegedly stopped and searched by police, with photos and videos of their contents obtained by Cumhuriyet. According to the paper, the trucks were carrying six steel containers, with 1,000 artillery shells, 50,000 machine gun rounds, 30,000 heavy machine gun rounds and 1,000 mortar shells. The arms were reportedly delivered to extremist groups fighting against the Syrian government of President Bashar Assad, whom Ankara wants ousted from power. Batu says the editor-in-chief fought for freedom of speech which has been under threat in Turkey since Erdogan took power. “For the last year or so the freedom of press has been axed in so many ways,” she told RT. A 2014 report by Human Rights Watch warned that under Erdogan’s rule Turkey has seen the erosion of human rights via a crackdown on media freedom, dissent and a weakening of the rule of law. Many journalists in the country are facing harsh prison terms for exposing corruption in the government and surveillance by the Turkish state. Egdogan’s regime has also attempted to silence social media by blocking YouTube and Twitter on a number of occasions. Prior to November’s general election, Turkish police stormed the offices of opposition media group Koza Ipek.